The Los Osos Community Services District is planning to keep Christine Womack on the board for four more years after questioning the San Luis Obispo County Board of Supervisors’ authority to rescind her appointment, according to a district staff report. Following the Nov. 6 election, County Clerk Recorder Tommy Gong admitted his office erred when it allowed incumbent Womack to run unopposed for a two-year term. The election should have been three candidates to fill three four-year seats. Because Womack was running unopposed, the SLO County Board of Supervisors awarded Womack the two-year seat on Nov. 6, an appointment they rescinded after the clerk’s error was discovered. Following the invalidation, Gong said the Los Osos board could extend Womack’s position while it decides whether to call for a special election or make an appointment. Los Osos district counsel Roy Hanley does not agree. Hanley determined the board of supervisors does not have the authority to rescind their appointment of Womack. Hanley noted that even though Womack’s name did not appear on the ballot, she was duly elected under the election code, according to the staff report. While Hanley is advising the Los Osos district board to allow Womack to serve out her term, the staff report provides several alternatives including declaring the position vacant and then opening it up for an appointment, or calling for a special election. The Los Osos board will discuss the item at its next regularly scheduled meeting on Feb. 7. 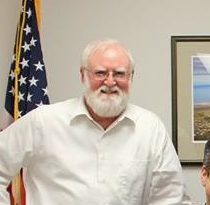 In a related issue, Stephen Best, the man who lost the Los Osos district race for a four-year seat by less than 1 percent of the votes, filed a lawsuit challenging the election contending he “was wronged and deprived of a fair and honest election” because of the “illegitimate actions” of San Luis Obispo County Clerk Recorder Tommy Gong, Womack and a handful of officials and staffers.